Former Macedonian Prime Minister Nikola Gruevski fled his country under controversial circumstances and arrived in Budapest seeking political asylum after failing to show up to begin a two-year prison sentence for corruption. Police began searching for the ex-Prime Minister on Monday after he failed to show up to begin his prison sentence for abuse of office. Macedonian prosecutors then issued a warrant for his arrest. Gruevski announced on Facebook this Tuesday that he is in Budapest. Since then, several theories have flooded the domestic, Macedonian and international news outlets regarding how he arrived in the country and where he is staying. Yesterday, the Prime Minister’s Office (PMO) released a statement revealing that Hungarian authorities have allowed the former Prime Minister to submit his asylum request for consideration. 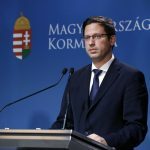 Today at Kormányinfo during his weekly press conference, Gergely Gulyás Minister of the Prime Minister’s Office further commented on some of the mysterious and controversial aspects of Gruevski’s arrival. Gulyás said that Nikola Gruevski submitted a declaration of intent for an asylum application at one of the Hungarian foreign embassies. However, the minister did not reveal in which country Gruevski applied for asylum, only that it was not in Macedonia. One of the controversial issues surrounding Gruevski’s arrival is how he made it into Hungary without a passport. Although Macedonian news sites reported that the ex-minister did not exit Macedonia by plane or “through a legal border crossing,” Gulyás said that Gruevski left Macedonia legally, as he can travel with ID in the Balkan States. He emphasized that Hungary didn’t cooperate with the former Prime Minister or help him leave Macedonia. However, he did not comment on the means of transportation with which Gruevski arrived in Hungary. Gulyás also stated that after Gruevski submitted his declaration of intent at the embassy, a governmental decision was made which allowed him to be heard at the headquarters of the Immigration Office in Budapest instead of the transit zone, for security reasons. He added that this did not make any difference at the hearing, which was “a legal rather than an inter-governmental matter.” He pointed out that legally the European Union and NATO cannot intervene in the internal affairs of the country, however, they are entitled to their own opinions on the matter. He said that Minister of Foreign Affairs Péter Szijjártó had spoken to his Macedonian counterpart, but concluded that this is not an inter-governmental issue. They insist they are cooperating with Macedonia to the best of their ability regarding the matter. In reply to Reuters, Gulyás said Budapest has not yet received an official request from Skopje to extradite Gruevski, adding Hungary would act “in line with the laws” if that were to happen. He said an extradition agreement exists between the two countries. However, many questions still remain about how Gruevski made it to Hungary and where is he staying. Macedonian 1TV claimed the ex-Prime Minister stayed at Budapest’s Corinthia Hotel on the first night, but Hungarian news portal index.hu talked to the hotel and they did not know anything about the former Prime Minister’s stay. The television also claimed that Gruevski later relocated to Prime Minister Orbán’s house. However, Bertalan Havasi press chief at the Prime Minister’s Office said yesterday that this is a false report. Gulyás also confirmed that Gruevski hasn’t met with Orbán while staying in Hungary. According to 444.hu, 1TV tried to film at Orbán’s house, but counter-terrorists sent them away from the location. 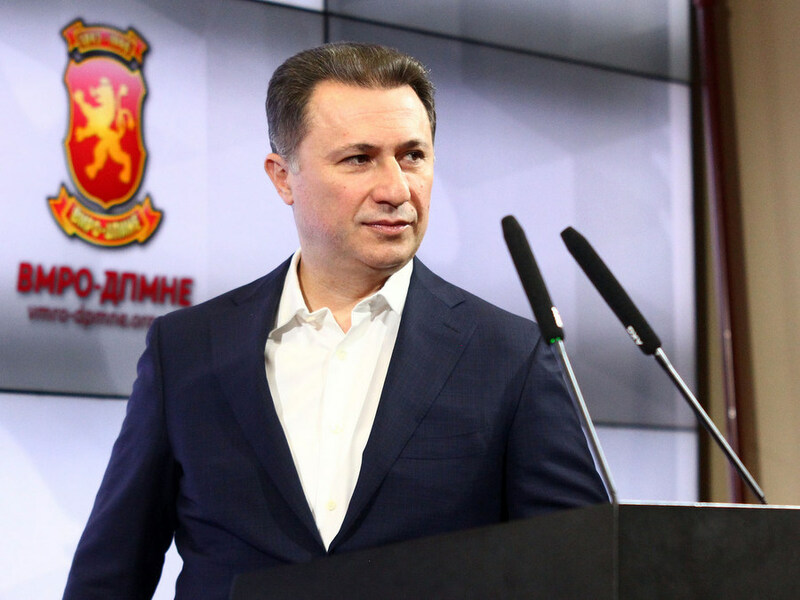 According to Serbian newspaper Politika, Gruevski crossed the Macedonian-Albanian border with a fake passport and submitted the asylum request at the Hungarian Embassy in Tirana. They also claimed that the former Prime Minister arrived in Budapest by plane, but erroneously reported that he traveled with Hungarian airline Malév, which ceased to exist in 2012. However, Wizzair does currently have a flight available between the two capitals. They reported that Gruevski disguised himself by wearing a hat and sunglasses and when the warrant for his arrest was issued, he was already in Budapest. Gulyás highlighted that there are other places where political leaders are treated differently in matters like Gruevski’s and that this is not a unique case. Hungarian news portal origo.hu collected a list of convicted and wanted politicians that are currently residing in other countries. Former president of Ecuador Rafael Correa, faced with charges related to kidnapping an opponent in 2012, is currently residing in Belgium just like former Catalan president Charles Puigdemont who would be arrested in Spain upon his return.